With Amazon’s acquisition of Whole Foods last year, and PillPack this year, Amazon now has in place all of the pieces to compete with these one-stop-shopping giants: household goods and furnishings, clothing, groceries, and prescriptions. One could argue that Amazon lacks the automotive services that Costco and some Walmarts have; while we would point out Amazon Garage, we would also bet a dollar that the acquisition of an automotive service chain will be in Amazon’s future. 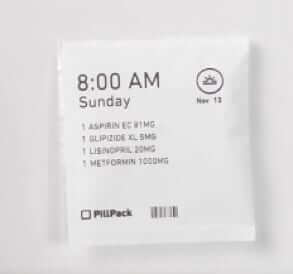 PillPack can also include non-prescription vitamins, supplements, and over-the-counter medications in your PillPack. 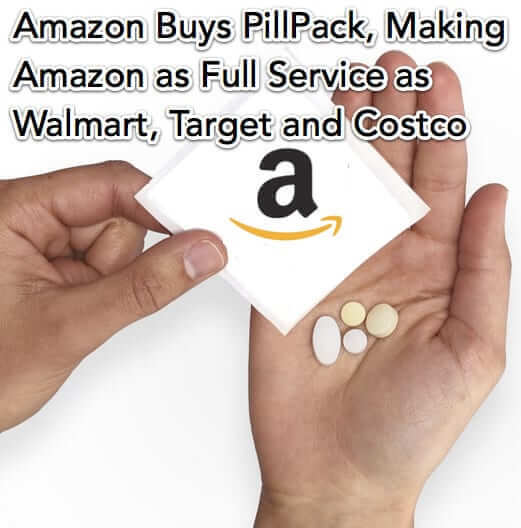 By leveraging PillPack’s spending power, Amazon will be able to match, if not beat, many prescription prices currently being charged by the likes of Walgreens, CVS, and other pharmacy chains, while also offering online convenience, and the proprietary per-day dispensing of the Pill Packs. 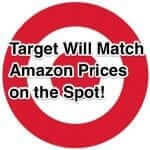 Amazon has indicated that the deal should be finalized in the second half of 2018. Last week it was announced that Amazon is acquiring online pharmacy PillPack for just under 1billion (yes, with a 'b') dollars. Most online pundits are comparing the Amazon PillPack deal to other players in the pharmaceutical industry. 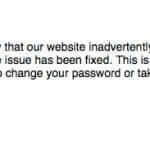 But quick, what other giant retailers offer furniture, clothing, household goods, groceries, and prescriptions? 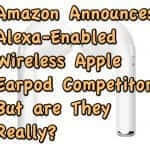 Right, Walmart, Target, and Costco.